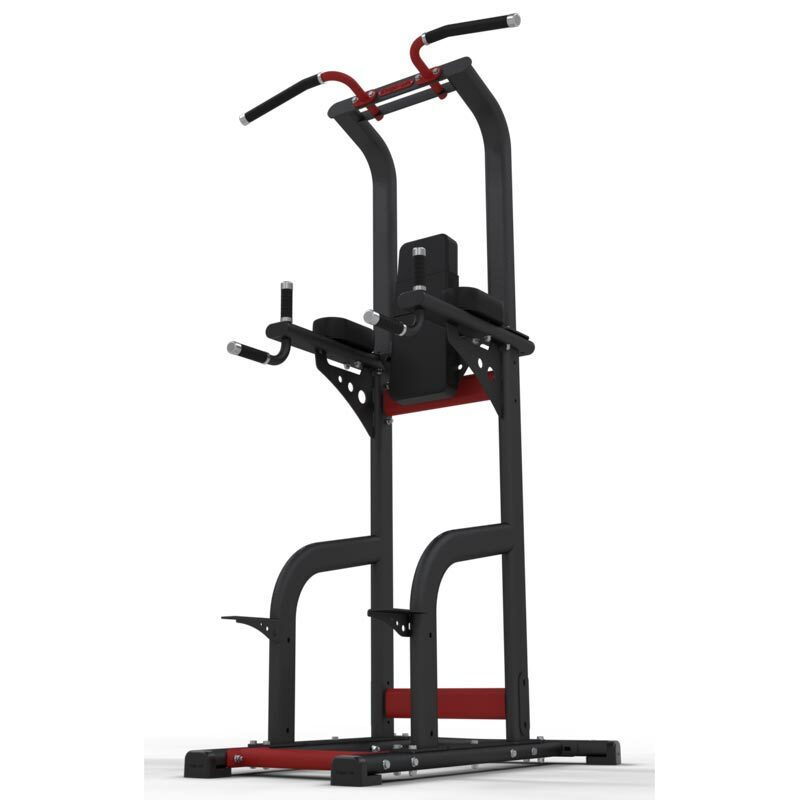 The Exigo Chinning / Dipping / Leg Raise Station is a multi-function training unit which can be used to target the user’s pectorals, triceps, deltoids and abdominals. This space saving station is ideal for smaller gyms and training facilities. Complete with comfortable arm and back pads to assist user positioning and a rigid frame to enhance stability. Arm and Back pads to help stabilise the upper body. Attached chinning bar for a variety in workout. Muscles Used Pectorals, Triceps, Deltoids, Abdominals. Dimensions: D130cm x W122cm x H235cm.